A periodic alert for followers of crime and thriller fiction. 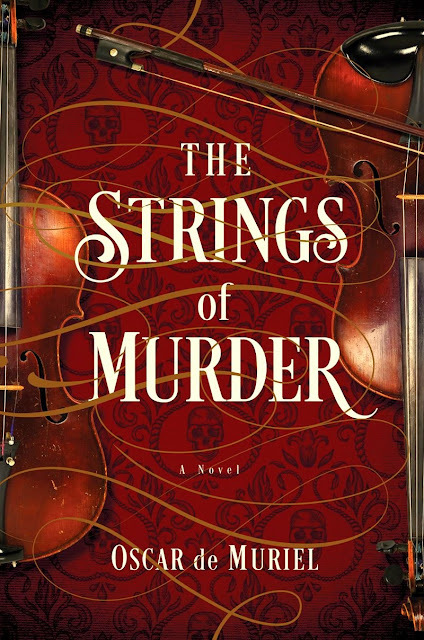 The Strings of Murder, by Oscar de Muriel (Pegasus). This historical whodunit first caught my eye when the jacket of its British edition was featured among the 20 contenders in The Rap Sheet’s Best Crime Fiction Cover of 2015 contest; it wound up taking fifth place. Mexico City-born author De Muriel’s vivid, sometimes macabre, and often humorous tale has now (finally) made it to the States, and if you’re a fan of character-rich locked-room mysteries, you’ll want to pay it some attention. The story opens in November 1888, when foppish Inspector Ian Frey is dismissed from Scotland Yard amid a change of leadership, not only disappointing his well-to-do family (who always thought a policeman’s life was quite beneath him, anyway), but losing his fiancée in the process. Frey’s crime-solving skills have not gone unnoticed, however. In the aftermath of his losing that job, Prime Minister Lord Salisbury personally, but secretly, assigns him another: travel to Edinburgh, Scotland, to look into the vicious slaying of a violinist in his own home, a murder that’s frighteningly reminiscent of Jack the Ripper’s malevolent spree of just a few months back. Oh, and Frey will have to work in the Scottish capital with a dubious new police subdivision devoted to investigating apparitions and commanded by an eccentric, loud, bigger-than-life detective named Adolphus McGray, better known as “Nine-Nails” in recognition of his missing a finger. Frey has a longstanding antipathy toward the Scots, and he and McGray could hardly be more different from one another. Yet—despite their frequent exchanges of insults—the pair learn to work in concert, as they try to figure out who eviscerated virtuoso-teacher Guilleum Fontaine in his music studio, while leaving that room locked from the inside. Could this atrocity be linked to a purportedly famous, and perhaps also cursed, violin in Fontaine’s collection? Of what significance are the black magic symbols left on the floor? And why does Fontaine’s maid say she heard multiple musicians playing in that studio before the homicide took place? Although De Muriel’s insistence on making McGray speak in dialect slows his story a bit, there’s plenty here in the way of historical atmospherics, allusions to paranormal phenomena, and further killings to keep things charging ahead. Furthermore, the odd-couple partnership between the snobbish Frey and the uncouth McGray is entertaining enough to have spawned a sequel, A Fever of the Blood, which was released the UK earlier this year, and with any luck will make it to the States by 2017. The Oscar de Muriel looks like one I may have to hunt down. Thanks! Thanks for the reference to my review. 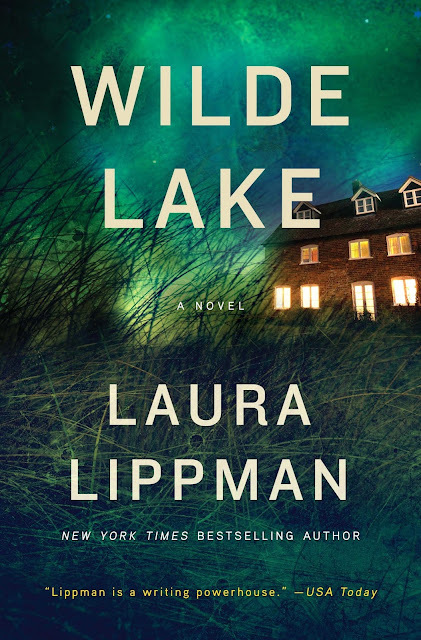 This is certainly one of Laura's strongest books, and will probably be the one that gains the most new readers for her. I'm going to check out the de Muriel books. it's a shame the US is not getting the original covers. Strings and Fever have some of the best graphic design I've seen in a long time for a book cover. Well at least it's not an old Scottish road with lone figure in the distance and big a sans serif typeface on the front!